The banks, while quite steep, are grassy with trees around most of the margins. Weed presence can fluctuate from year to year, but it’s not a problem. There are no obvious underwater obstacles or snags. The water itself is crystal clear with a bluish tint characteristic of sandpits and water levels fluctuate throughout the year with the change in water table. 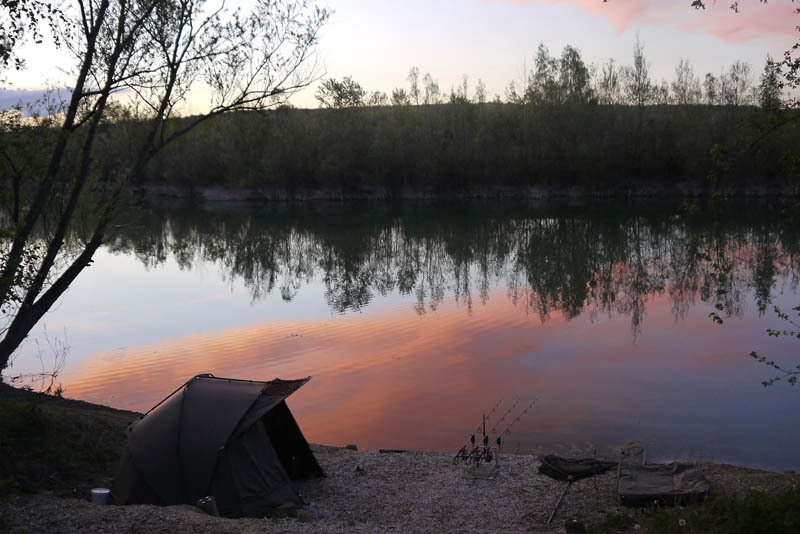 The number of pegs as been kept to a minimum on our carp fishing lakes: the Croix Blanche has seven, with eight pitches on the Tortue. Most of these pegs are cut back into the bank to provide comfortable pitches. Access to the pegs is excellent with a track around the whole property, and access to most of the pegs is possible by car. The property is entirely closed with a secure fence around the whole perimeter.